Hi, I’m Ashley. Thanks for reading my blog! We’re a two person team here at MHB. I’m the writer and recipe maker and my husband, Roby, is my taste tester. He tells me when my recipes are “blog worthy.” Roby actually has a tough job. Don’t believe me? Try telling your wife you don’t like one of her recipes 😉 Thankfully he likes almost everything I make – and if he doesn’t like something, you won’t see it on the blog. Roby and I have been really good friends since high school. We both went to the University of Virginia and after a couple years of being just friends who would occasionally and awkwardly hold hands – he asked me to be his girlfriend. On our five year dating anniversary, he proposed. And a year later, we were married. Twice. One of the perks of marrying Roby was learning how to cook Keralite food. It’s crazy delicious and perfect for those following the paleo diet. I come from a Punjabi family so it’s fun to be able to bring both northern and southern Indian dishes to the table. I currently have a full-time marketing job that I really enjoy (update: as of July 2015, I’m a full-time blogger!). With Rob spending super long hours at the hospital, I decided to spend some of my free time recipe testing and blogging. I love it and I’m also learning a ton of skills in the process (seo, web development, analytics, etc). For me, cooking is a blast. There isn’t much I enjoy more than jamming to my Mariah Carey pandora station while trying to cook, sing and dance all at the same time. (Side note, I think it’s awesome that Mariah Carey is still relevant. I’ve loved her music since second grade). So, when I blog, I tend to refer to certain people who happen to play a big role in my life – my family. I’ll introduce you to them now. 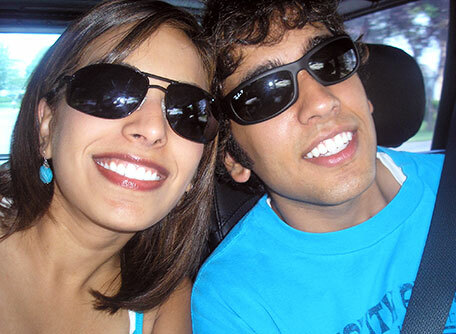 Here’s a picture of me with my awesome younger brother, Rishi. This was taken back when we were in high school. We’ve been told that we should be in toothpaste commercial together. Maybe one day it’ll happen. These are my lovely parents. They’re a hoot. They party more at their age than I do now… I saw them a couple hours after this picture was taken. They told me they didn’t know there was alcohol in the jello that their friends kept giving them. I’m not even kidding. They also once tried to convince me that a mango wine cooler was just mango juice. Um, no words. This is our dog, Sasha. Actually, she’s my family’s dog but since Roby and I don’t have a dog yet – I’m calling her our dog. She’s incredibly spoiled. 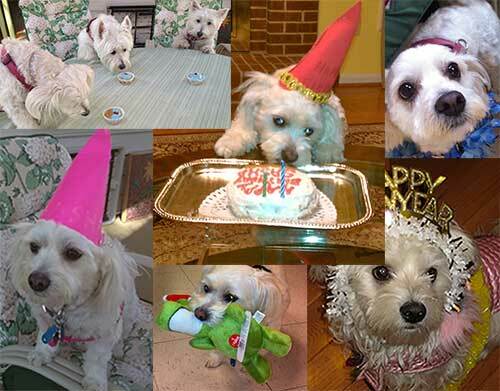 My mom and her other empty nester friends get together to throw their dogs birthday parties. Basically, for all intents and purposes, Sasha is more like my sibling. Yes, her birthday cake in the photo below is literally on a silver platter. The Best Thing I Ever Made. There concludes a short summary of my life thus far – sort of, for now. Thanks for reading 🙂 And if you haven’t already, be sure to subscribe to my newsletter. Now go check out some of my recipes! I just found your blog searching for paleo curry recipes. i LOVE YOU!! I ended up cooking all kinds of your recipes. I especially love making the naan bread! It is so easy to make! I just want you to know how much I love your stuff! Yay! Glad you found me, Marlene 🙂 So glad you like my blog – hope you’ll let me know how the curry recipes turn out for you! Your supportive comments make me smile 🙂 Thank you, Chandni. Hi, I found you through the book with stolen content someone published on amazon, and I’m oh so glad I did! I’m not paleo, but I have gluten issues (probably celiac, but that’s another story..) Your recipes are so inspiring! I put them into paprika, so I can put them in my meal planner. I can’t wait to see what shows up in my email 🙂 Thanks so much! Hey Ashley! I just had to check out your blog after seeing your tweet this morning and I’m so glad I did. It’s adorable! I love all the recipes and especially all the commentary haha!! Btw your parents seem like a great time haha good for them! 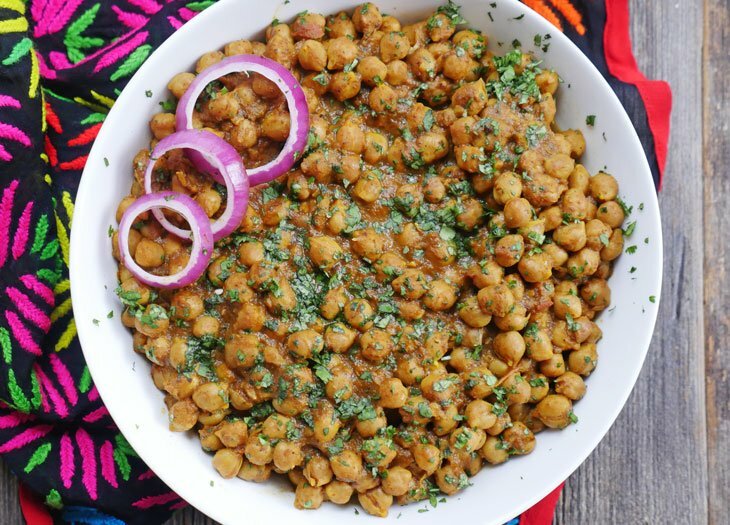 Indian food is something I’ve been wanting to experiment with for a while now, ever since I tried a recipe for curried chickpeas and it was amazing! So I’m really excited to get crackin on some of your recipes – especially the Shakshouka – I was drooling over the picture!! 😉 I’ll definitely be visiting a lot! Hey Kristin 🙂 Thanks for the sweet comment – just saw it and it made my morning! I love your blog too – love the name! Also, your pictures are amazing! Glad to have made a new blogger friend! 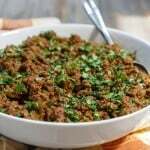 Hi Ashley, I stumbled upon your blog looking for a recipe for ground beef, coconut and curry. So happy your site came up. The dish looks amazing and I love your story. Indian food is one of my favorites cuisines. I can’t get enough of it. Thanks for sharing your blog and your family. Thank you thank you thank you Ashley!! I found your site while looking up paleo recipe ideas, as I am trying to control my blood sugar (diabetics in my family) and am very sensitive to gluten. I *love* Indian food — I visited India (Kerala and Tamil Nadu) with my husband in 2008 and it was one of the best (spiciest!) times of my life! I will look forward to making more of your recipes. Wow! So excited to have found your blog. I’m just starting the Whole30 before beginning a paleo diet and I’ve really been looking for some delicious recipes. There are plenty of them out there, but growing up in the diverse Bay Area, all of the American food recipes were sounding quite boring. So happy to see recipes with so much flavor on your blog!! Keep up the great work!! Hi Victoria! Thank you! I’m happy you found my blog! Good luck with your Whole30 🙂 I hope you’ll let me know how my recipes turn out for you! Love your site! Just made the naan bread so good. In my oven as I type are the empanadas. Which I fill with leftover roast pork. I just sent a picture of the naan bread to my Instagram. And I post your web site. Do u have a Instagram account? Thank you, thank you, thank you! I’ve been doing paleo since my daughter was born last June, and it’s really hard to find dishes that my boyfriend will also eat (sometimes he complains I don’t make enough ‘real food’) but so far EVERYTHING I’ve made from your blog has been a huge hit with him. You’re amazing! Thank you for doing the experimenting for the rest of us! You have great website. It is so easy to read, especially for foreigners like me. English is my third language, so sometimes it is hard. You are very friendly and nice person. Why did you start blogging? Is there someone who inspired you to start blogging? What is the purpose of your blogs? I ran across your blog while searching recipes. I’m new to Paleo (about 2 months now) and find it to be the easiest way to eat (I won’t say “diet”). No funky diet foods, lots of flavor, and I’ve learned so much from paying more attention to what is in the food I buy. I’m reading ingredients before I buy anything and still trying to get over my horror at what I’ve been putting in my body! Your recipes include many foods I was concerned about missing, like naan, samosas, etc. I’m looking forward to making your peacha pie … and yes, I’m impressed with the name LOL. Thank you so much for all you’re work and experimenting to perfect your recipes…you are a blessing! I found your website randomly through Pinterest and I’m so happy that I did! My husband and I recently switched to Paleo lifestyle. I’ve been tweaking my Gujarati recipes to the diet and I’m excited to add your Indian recipes to the mix! Just found your blog and am really appreciating your Costco guides. I just wanted to say, you have the most amazing eyes! Hope you are having a great day! Laurie, thank you! You are so sweet 🙂 I hope you’ll let me know if you try any of my recipes! Love your website! My doctor recently started me on a FODMAP diet and although not all the recipes work, they give me lots of good ideas! The Naan bread was super easy!! I love your website and your recipes! I made Paleo chicken fajitas using your Naan Bread as tortillas and they were fabulous! The Naan Bread is so versatile and great tasting. Thank you! Hi, I’m a new subscriber. I’m trying to learn as much as I can about Paleo and natural living – as natural as we can get in a modern world. I been on Paleo diet for 4 months. After spending an adult life trying every diet under the sun, except the cabbage diet, I couldn’t see eating cabbage all day, I stumbled upon the Paleo concept. The last diet I was on was Nutrisystem. I cringe at the chemicals I was putting into my body. It had boiled down to weight watchers yet again or Paleo. I chose Paleo. I have lost 42.6 lbs and love cooking. The cooking surprises me. I’ve never been too much on cooking, but now that I’m getting new recipes and ideas, I love it, I’m hoping by this time next year I will be where I need to be and feeling great. I’m looking forward to reading your column and recipes. Hello, I am a new subscriber from Australia. I found your blog a few months ago and then as with many things, I totally forgot all about it. However I did remember that I had seen a recipe for Samosas so went looking for it again and made them that night. Oh my god, they were just divine. I have added the recipe to my Paprika recipe manager app so that I will never lose it. I have yet to try it as Naan bread, but as both my hubby and I love indian food I will be trying it very soon. 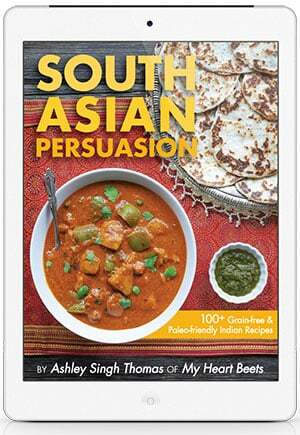 Can’t wait to have a look at your indian recipes as I love making the dishes from scratch – hate those jarred sauces!! Hi Glenys, I’m happy have you as a subscriber! Glad you liked the samosa recipe – I hope you’ll let me know how any other recipes you try turn out for you! 🙂 Thanks for the comment! Hi Tammy, I’m happy to hear that my website is helping you in your healing journey. Have you tried making my beef bone broth yet? I hope that you’ll continue to keep me posted on your progress. I just want to thank you for all your great recipes! I have been following Paleo for the past 6 months….gradually trying to omit grains, potatoes, rice etc from my diet. Your recipes have helped me so much……I am English and my husband is from Madras and we gave been married for 42years…..my Mum-in-law was the most amazing cook! I love my Indian food and you have made it possible for me too still enjoy it while following paleo. I love your naan recipe and also beetroot Thoran just to name a couple. Thank you so much ‘myheartbeets’! Hi Carol! I’m so happy to hear that my recipes have helped you 🙂 Please continue to let me know what recipes you try and how they turn out! I just came across one of your recipes for Paleo Naan on Pinterest and did a little jump for joy when I also saw a link to Paleo Samosas (one of the few things I will eat thats non Paleo cause I love them so much!) . I can’t wait to try your recipes! Thank you so much for spending time sharing family and food. I grew up in the UK and spent my allowance money at every hole in the wall Indian restaurant I could find. My parents didn’t like ‘foreign food’. I have had a serious love affair with Indian cuisine for fifty plus years and to make it paleo just took it to a new level. Thank you again so much… I will be kitchen bound momentarily, okra in fridge right now heading to my face in minutes. You made my year. Good fortune to you and yours. Thanks, Martha! I’m glad to hear you’re such a fan of Indian cuisine 🙂 And I’m glad to have you as a reader. I hope you will let me know how any recipes you try turn out for you! Hi Priya! I’m glad you found me and I’m glad to have you as a reader 🙂 Hope you will let me know what recipes turn out well for you. Did you seriously just call yourself good looking? LOL! Well, good for you–you are! I am absolutely in love with your website. For thee LONGEST time I have been trying to find Indian dishes to make myself, but believe it or not…it’s a rather difficult hunt. Perhaps that is because I am in the Midwest. That aside, I am so grateful you started this; definitely am looking forward to learning from these recipes! Found your site a day or two ago (1 link led to another, you know how it goes). I’m mostly paleo and just starting a 2nd round of Whole 30 next week. ANYWAY, just read your bio above and I think I love you guys already! Looking forward to exploring your site and enjoying your recipes. Beth, thank you!! glad you found my blog 🙂 hope you’ll let me know how any recipes turn out for you! Just found your site and signed up for your newsletter. Delighted to find a paleo site with a real Indian bent as Indian food is my favourite cuisine. My son is spending a year in Bangaloru and while he grew up with my version of Indian food he is getting a chance to eat the real thing. I am so jealous. Your recipes look wonderful but I would like to alert you to a problem on your site – for some reason (I suspect one of your advertisers) isn’t loading properly and I get a ‘script has stopped working error’ on almost every recipe page. Every page takes forever to load and even after I cancel the script the site is very slow. Don’t know if there is anything you can do. As a clue I did go into the debugger on the Cream of Mushroom Soup recipe page and a dotted line rectangle – long and thin – showed on the screen while the debugger was open and the line in the code was something about ‘getrect’. Hope that helps. I really want to check out more recipes but this problem makes it very hard. Miriam, so glad you found my website!! I hope you’ll let me know how my recipes turn out for you 🙂 Also, thanks for letting me know about the ad issue. I’ll contact my ad network to figure it out but hopefully it’s working for you by now. I am so happy there is a site like yours out there. My parents are from Kerala and sometimes when I am at work (shhh, don’t tell anyone) I look up Indian recipes. It is so nice to find a site that satisfies an Indian girl’s palate. Amy, thank you! And, lol, isn’t that what work is for? 😉 I’m glad you found my website – if you have a Keralite dish you want me to try and make, let me know! Thank you for sharing your passion for cooking awesome, healthy food. I am new to your website and I am already excited about all I am going to learn about cooking. I have recently decided to follow a grain-free diet. I am healthy, according to my doctor, however, I don’t always feel good. I have occasional allergies and issues with pain in the joints…issues that can cause major problems down the road. Also, I am 15 lbs over-weight due to not eating right. So my goal is to eat clean, good food and I know that my body will take care of these issues by healing itself as I make smart food choices. Thank you for all the recipes you are sharing because it will make cooking fun and exciting for me to try new foods….I love cooking but I am not very creative in coming up with new recipes. I am about to make your 3 ingredient Paleo Naan. I have been craving bread but have managed to stay away from it…so I am excited to try your Naan. Have a great day! I just returned from 8 days in India for work and thought I’d be tired of Indian food. But that didn’t happen! I made your Kofta Curry (from your cookbook) 2 days ago and it was a huge hit. The spices in the recipe made for an amazing flavor and the texture of the meatballs (pureed in the food processor) was very smooth. We loved the dish. Yesterday I again made your Sarson ka Saag in my crock pot. I’ve made it probably a half dozen times and love it each and every time. I use 1/2 mustard leaves and 1/2 spinach and add paneer in the final 2 hours of cooking time. With all these recipes, they taste even better on Day 2 as the flavors blend even more. With both dishes. of course, I served your paleo naan. I’m obsessed with your recipes! Thank you for creating and sharing them. Jennifer, that’s awesome!! I’m so happy to hear that 🙂 I hope you had a great time in India! Hi Ashley! From your experience what would be the best oil to fry anything with? For example if I wanted to make somewhat paleo pakorey, I would probably prefer tallow but for vegetarians I can’t that. Any suggestions or have you experimented with avocado oil as far as deep frying? I love cooking Indian food. My box of spices is like my alchemy set. Rob, that’s great to hear! I feel the same way about my spices 🙂 Happy you and your friends loved the goat curry – I hope you’ll let me know if you try any of my other recipes! Am exploring your other recipes as well. Hi Ellen! I’m so glad you all like the chicken curry recipe 🙂 Hope you’ll let me know what other recipes you try out! Hi Ashley, so glad to have found your Blog, I do not know much about Paleo, but willing to learn. I am 83 years old, retired Farmer, do most of the cooking, and just recently got an Instant Pot, which, I just love!!!. gave one to my Son, and my Daughter, for Christmas present, and they both love them. Live in Southern Minnesota. looking forward to try some of your Instant Pot Recipes. I’m so happy to hear that you found my blog and that you love the instant pot as much as I do! 🙂 I hope you’ll let me know how my recipes turn out for you! Thanks for this blog! I just used your chicken curry recipe. I didn’t have time tonight, but I can’t wait to try making paleo naan. I have celiac’s disease and haven’t had naan in 4 years!!! 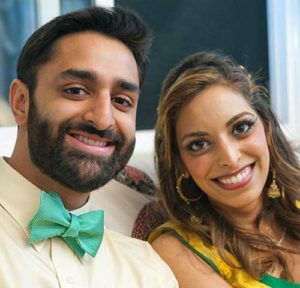 As an Americanized-desi girl looking for Indian paleo meals and recipes from another fellow desi I heart you! Your recipes are easy to follow and I really appreciate your diverse collection. Thank you for gracing the internet with your delicious recipes! Thanks, Bela!! I’m so glad you like my recipes!! If you ever want me to try and paleo-ify something let me know! Hi Ashley, I just found your site and am so glad that I did. I have lived for years being gluten and dairy free but have just found out that I have so many more food intolerances (the reason for continued sickness and not enjoying anything I ate). I can now cook and bake a variety of tasty dishes that my husband will also enjoy with me. Thank you so so much!! I just joined your blog on October 15, 2016 and am much impressed, love it. I too love everything food-wise from the Middle and Far East. My dear wife and I were both born in the Dutch East Indies, now the Republic of Indonesia. No, we didn’t know each other then. That came after WW II ended when we were repatriated back to the Netherlands and met in the school system. Long story there. I never liked it in Holland, too cold and wet, and I emigrated to the States in 1957. I got reacquainted with my wife to be and she come over to the States in 1962 and were married. I am a double cancer survivor and now cancer free for four years. In the meantime I have done a lot of research in nutrition and health and have adopted the Paleo lifestyle as best I can. I now automatically convert all my recipes to Paleo regardless whether they are Western or Eastern. Our most favorite recipes are Indonesian, Thai, Indian, Chinese – – – oh heck, we like most everything. Yes, I do have many Indian and Thai recipes but most are Indonesian. I was born in 1934 in the city Surabaya on Java Island and my wife was born in 1941 in Batavia, now Jakarta on Java Island. After my retirement we settled in Florida but miss our daughter and grandson who live near Pittsburgh, PA. Sorry for the long intro and if you like to know more about us please ask. With kind regards, Piet, the Flying Dutchman. Hi Piet! So happy to have you as a blog reader 🙂 Thanks for sharing a little bit of your life with me. I love learning about my readers! I’m glad to hear you’re now cancer free – that’s wonderful news! I hope you will let me know what recipes you try from the blog and how they turn out for you! Thank-you!! Instapot and Indian food what a perfect combo! Can’t wait to try more! Just wanted to say Thank You for the great recipes and I look forward to trying more. Also, I see that you and your husband went to the University of Virginia. I have been a professor at UVa (English department) since 2000. It’s too bad our paths didn’t cross! Best wishes! Do you have a weekly batch plan (meal prep) for Indian cuisine, preferably gluten free and dairy free. If you do, can you please let me know where to find it. 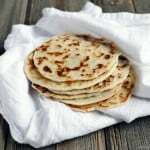 greetings from sunny south africa ashley, i am a south african indian came across ur blog looking for gluten free roti which ilove and use to make a lot of before i was diagnosed wit psorisasis 2years ago.imade some of your rotis las nite and dam!! they were good and i must say you look fab.in wedding pic love the red outfit.could you explain why the white wedding ?? which by the way you look beautiful aswell . Just cooked your goat curry. It was better than I could have possibly imagined. Thanks so much! Question…doyou have scripts for the smaart pot? Your wedding photos made me tear up! So beautiful!! WOW!! I just stumbled onto your blog when I was looking for ways to use almond flour. I’m not officially Paleo, but I’m gluten, dairy, and sugar free, so I’m kinda Paleo, right? Anyway, I adore the Indian food that I’ve eaten, which is not nearly enough. I have wanted to learn more about it and begin to learn cooking it, but it is SO intimidating to try to begin cooking it. I’m ordering a couple of the spices for the Butter Chicken and will try that with your naan as soon as they arrive. Can’t wait!! So GLAD you are here! Sherry! I’m so glad you found my blog 🙂 And you are more Paleo than me lol – I’m pretty much just gluten-free these days. I can’t wait to hear what you think of my recipes!! that it’s paid for and not be able to down load. Hi Sylvia! I just checked my gmail account and it looks like I emailed you two days ago – do you mind checking your spam folder? Let me know if there are any issues! I’m new to Indian food, but I love it. I saw you have a previous Indian cookbook. I was wondering if you could direct me to where I could buy it. Thank you. May the almighty God keep you all happy and healthy forever. I love your recipies and just bought your ebook. However i did not receive book yet…..does it take a few days to be emailed? Ashley, Roby, Antony; you’re amazing, I just wanted to thank you all for being my go to source of recipes. I’m paleo, love my Instant Pot, and love Indian cuisine even more. You make amazing things, Roby has a taste for the exquisite, and Antony is completely adorable! Thank you, to no end, for giving me amazing recipes for the niche food I love, despite my living in the uncultured middle of nowhere. Luke, thank you!! I appreciate all of that so much – it is so nice of you to say 🙂 And I will definitely share what Antony likes when he gets to that picky stage – though right now I am thanking my lucky stars that he eats most of what I give him. He especially loves butter chicken and my vegan butter chicken recipe (butter chickpeas) – maybe you can try those with your daughter? He also really likes my vegan pumpkin mac and cheese recipe. Let me know if she ends up liking any of those! Hi Ashley.. I’ve recently found your website. I love Indian cooking.. and have really grown fond if it more so since my son married a Punjabi. Her father is an excellent cook. I’m looking at your grey/brown lentil stew and it calls or a couple of tomatoes. At this time of year.. tomatoes are like cardboard. I hope you can help me translate to using canned tomatoes.. either whole or diced. Would you recommend one 14 oz can or ??? Hello, I am very excited to have found you as I think I have some dairy sensitivity and I’m looking for more flavor in my life! I recently purchased your book (5 days ago, I believe), but I never received the link. ashley i am going to cook goat for the first time tomorrow. any advice? have a bunch of plum tomatoes to help make the curry/broth and of course onions and more garlic and ginger. once that is going i am planning to put in the goat and cook at a very low temp until the goat is cooked. any suggestions? i cut the goat up pretty small so should cook fast. thinking i will throw in the bones with the little meat still on them in while i saute the onions and tomatoes. I did so much enjoy your version and explanation of Onion Masala. Thank you very much! I have an Instant Pot and I love it! It is special for Indian dishes, in fact for many other ethnic dishes! Hi Aida! I’m so happy to hear that! 🙂 Thanks for letting me know how much you like it! Hi Ashley! I just discovered your blog through a post from a friend and your microwave chocolate cake. That, and a good friend is an Instant Pot aficionado. I’m going to be making your recipes, and buying an Instant Pot. I love Indian food! Hi Deb! I’m so happy to hear that you found my blog 🙂 I can’t wait to hear what you think of my recipes! Hope you love your Instant Pot – it’s the best! Is there a reason you don’t list low FODMAP under your special dietary choices on your home page? I’m Pam, and I love interesting and healthy food (Asian, East Asian, Latin American) – most “American” food is so boring and bland and overcooked :'( Fortunately my husband and son-in-law, who each grew up with a pretty boring menu and virtually no vegetables, like my cooking and like to try new things. So do my 3 and 4 year old grandkids, and they LOVE to help (or “help”). Both are good at peeling garlic, measuring, and stirring, and they love to run the food processor – under supervision, of course. My father was an Army officer who was stationed in a lot of interesting places, and who also was a fabulous cook. I grew up helping him and became an intuitive “method” cook – I rarely need to measure or follow recipes precisely, and can often duplicate dishes by smell and taste. (My sisters and I were hardly ever allowed in HIS kitchen without him checking to see what we were doing, though we did plenty of prep-work and clean-up). He made a curry that was similar to Korma curry, and also a wonderful Mango Chutney that he adapted from a recipe in a Honolulu newspaper in the 50s. When we lived in Hawaii I would climb our mango trees to pick the unripe mangos for it, and after I married and left home I used to make the chutney frequently. Now that US grocery stores are pretty well stocked with international ingredients I’ve found a few chutneys that are similar so I don’t make it homemade any more (plus we don’t have mango trees in Pennsylvania, and I developed an allergy to mango skin, so picking up the whole fruit and peeling it are out of the question for me). I’m also a recent Instant pot user, and I’m looking forward to trying more recipes and techniques from your book 🙂 . But today I’m headed out to get some silicone molds or a silicone cupcake/muffin pan that will fit in my IP so I can make individual “cheesecakes”. I also want to get whole cardamom to chop and sprinkle on top with chopped pistachios 🙂 I’ve been making Butter Chicken, and am looking forward to trying yours and your Naan. PS – I wanted to add that I had an Indian friend in grad school; she taught me to make a few things that were rather surprising to me, but really really good. One was a beef curry with potatoes, one was raita, (at the time yogurt wasn’t in my vocabulary), and a chopped-peanut based masala. Till I tried Valerie’s wonderful cooking, I didn’t know potatoes and cauliflower were in Indian food! Somewhere, I have my scribbled notes from cooking with her. Two things I really want to learn to make are Saag and Kheer – yum! I wish I could edit instead of adding – I love the two weddings! My daughter had two weddings as well; the first in the hospital, where she had been airlifted with a life-threatening condition. She and my husband and her new-husband were the only three in the hospital room, and his uncle who is a minister did the ceremony by phone. Then a month or so later, she had the second wedding on the scheduled date, same parents, same uncle/minister, same husband of course, but she wore a blush pink dress instead of a hospital gown, and a silver bracelet with hearts instead of a row of paper hospital bracelet. It was mucho scary. Actually four of us – my husband and me, she and her husband. And the uncle/minister via speaker-phone. Fortunately they already had the license and rings, in preparation for the planned wedding. So nice to meet you and learn about you Pam! Your dad sounds like he was a wonderful cook! I can’t wait to hear what you think of the recipes in my cookbook! I was browsing through for a recipe and got hooked onto your blog. And man…was I hooked line and sinker !!! Totally love your simple and easy approach making yummy food. Hi, what breed of dog is Sasha? I had a dog that looked like that but was a rescue so we didn’t know what breed it was. I love your recipes. Thanks. In your pea pulao recipe, u have said 6 mins for a cup of rice in the instant pot. I made it with a cup and ITV was perfect. If I double the qty of rice, how many mins do I set the instant pot for ??? Please reply. Thanks a lot. Hi Padma, you can keep the cook time the same even if you double the quantity – it’ll just take longer to reach pressure. So keep it at 6 minutes 🙂 Let me know how it goes! Hi Ashley! I happened across your amazing website while searching for keto friendly recipes. I think your recipes look great and I can’t wait to try them, especially your instant pot recipes. Anyways, recently (like last month) I got married. 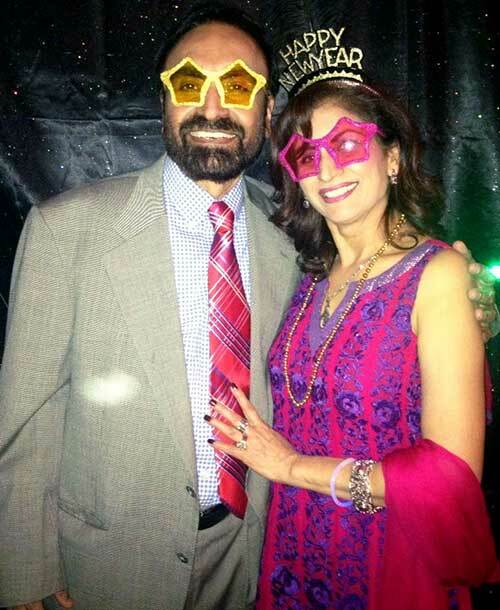 My amazing hubby is Punjabi. I’ve been doing my best to learn how to make Indian food and so far he’s a happy guy. I just started the keto diet and I’ve been trying to find recipes that will suit both of us- my diet and his taste buds! 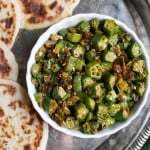 Is there any way you can put up some more Indian keto recipes? Thank youuu! Hi Charissa, I’m so glad you found my blog! And congratulations to you and your hubby!! I will definitely work on adding more keto-friendly Indian recipes to my blog 🙂 Thanks for letting me know you’re interested in that! Such a neat blog you have that shows your passion for cooking. I am also looking for an option where I can go for slow cook in IP, reason being I want my little one to enjoy warm food and save time for me in the morning. That is why planning to cook overnight in slow cook option for packing her morning meals and at the same time wanna prepare for the night meal in the morning. Can we try all your recipes in this manner in slow cook option, I guess yes why not 🙂 Do you have a rough guess if they could convert in what amount of time in slow cook option ? Hey, have you had any success with making yogurt in your IP? Hi Lygia, yes I have 🙂 I will share a recipe one of these days – it’s very easy to make! I want to try the IP chicken biryani recipe. Went through it and need one clarification- u said cook rice and chicken with water on high pressure 6 mins. Is high pressure same as pressure cook ? Hi Seema, are you using an instant pot? If so then use the pressure cook button – just make sure your instant pot is set to high pressure (there are two pressure options low and high). 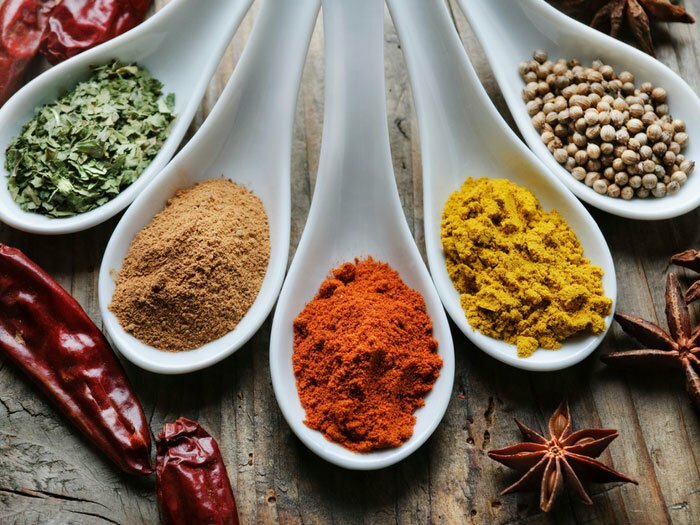 There will be a little light underneath indicating what pressure it is on – if you need any help just post in my Instant Pot for Indian Food facebook group and I can help there too! I took a chance on the Instant Pot, really for the sake of making more dried beans and lentils (I’m of the “you don’t need another gadget camp”). I just want to say that I have made 1-4 recipes from your Indian Cooking cookbook every week since February. I am so thrilled to have access to truly delicious Indian Food here in Seattle (after living in SF, Fremont (CA) and NYC, I missed it)! Every time family visit us, I make them a spread of dishes. As a newly GF, dairy (lactose)-free individual, your recipes are so wonderful! I just need another pantry for all my 4lb+ bags of dal 😀 THANK YOU!! Kabri, wow – that is so awesome to hear! I’m so glad you like my recipes and the IP 🙂 Thank you so much for leaving this comment on my blog! I am new to your website but as soon as I found it I was hooked. You make the recipes so easy to follow and I love all the tips and tricks you offer. I look forward to reading your news letter. I am going to make your Onion Masala .Great tips on how to store it and thank you for including where to buy those handy little containers I will be using them for my ginger garlic paste and chili paste as well. Renee, I’m so happy to hear that you found my site and like it so much 🙂 I can’t wait to hear what you think of the recipes you try! And thank you – I appreciate that so much! I tried your artichoke hummus and it is fantastic! The only problem for me was that my blender couldn’t handle the thickness, to chop everything to a smooth consistency, and wouldn’t even move the top half of the mixture, so my hummus is a chunky one but still sooo good! Wondering what kind of blender you have, that will handle the very thick consistency of the hummus, move everything around, and chop everything to a smooth consistency? Diane, I’m so glad you liked the hummus! As for blender recommendations – I currently use a Blendtec but truthfully I think I’d suggest getting a Vitamix instead as mine hasn’t been working as well as it used to (though it is now several years old and has gotten plenty of use). Both of them are good high powered blenders though. I’ve loved your recipes for quite a while (I bought your Indian Food cookbook when it came out). However, since I was diagnosed a month ago as having Type 2 diabetes, I have to avoid high carb foods (like breads) so your gluten free, paleo recipes are especially helpful. However, I have a request. Please consider putting the nutritional information in all your recipes, including the older ones. ( I notice the nutritional information is provided for some recipes.) This would be very useful as I have count carbs to keep my blood sugar level even. (I also count calories as I’m losing weight to help the diabetes) Providing this information would be very helpful to many people asI know there are lots of people counting carbs (for many different reasons). Hi Anna, I’m so glad to hear that you like my recipes 🙂 I’m sorry about your diabetes diagnosis – thank you for the feedback about nutritional information. It’s good to know that is helpful and needed! I am working on updating the nutritional information for all recipes however it takes quite awhile and so if there’s a particular recipe you’d like me to update sooner rather than later please let me know and I will put it at the top of my list! I love your recipes and I’ve enjoyed using them, especially the Indian Instant Pot ones. Could you please consider including nutritional information (specifically calories, carbs & fibre)? I have Type 2 diabetes and I count carbs & fibre, it really makes a difference to my blood glucose levels (keeping track of the calories help me lose weight). I’m sure others would also find this information useful. Thanks Anna! I am slowly working on adding nutritional info to recipes however it takes me a little while – if there’s one in particular just leave a comment on that recipe to let me know and I will be sure to get to it first! Could you please let me know if there are chapati tava and pressure cooker available for use. I am new to pittsburgh and I am looking for these kitchen gadgets which I can use for sometime and return as I will be staying here probably only for an year or less. 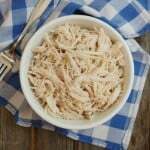 I happened upon your blog today in looking for recipes to cook for meals for the upcoming week. I really love the option to toggle on/off different types of recipes to make searching easier. I follow Weight Watchers and I am wondering if you ever thought about including smartpoint values for your recipes? Have you heard of the food blog Skinnytaste? She does this, in case you want to take a peek and see how she has it set up. It might take a long time to get sorted out, but wanted to mention it in case you were interested! Thanks and looking forward to trying your recipes! Kaitlyn, thank you for the feedback! I will look into this but truthfully I am not familiar with weight watchers so wouldn’t know enough to comfortable include smartpoint values. Thanks for the feedback though – if there is enough interest I may have to learn! Ashley, first of all, thank you so much for all you have given to your recipes, your site, and all of us. 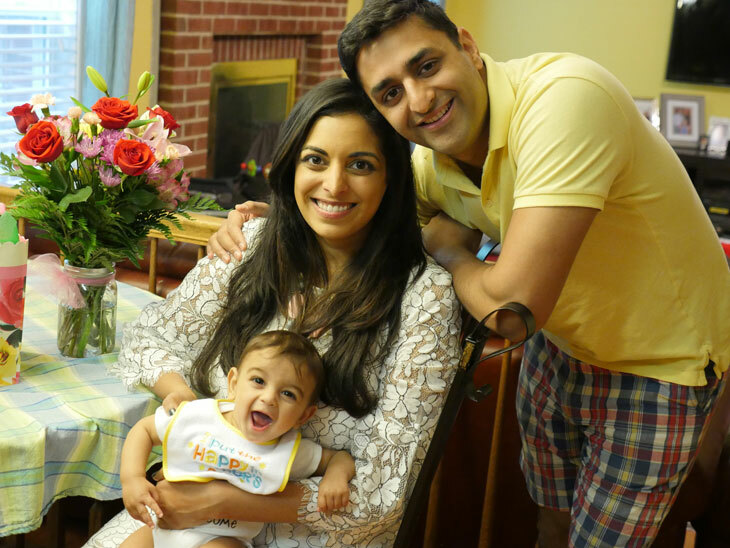 I have been using your recipes for years and they always put a big smile on the faces of my healthy family. Plus I’ve learned a ton about cooking from you! So thanks so much. You are doing something that matters. Here is my request: It is getting cooler out, so I wanted to make some Shepherd’s Pie. I am certain that you had one on your site in the past, but I cannot seem to find it, nor is it in South Asain Persuasion. Is it in a different cookbook or have you de-listed it for some other reason? The other one’s I’ve found in the Internet just don’t seem the same. Thanks! Ted, wow thank you so much for the kind words! You just made my night 🙂 I don’t think I have ever shared a recipe for shepherd’s pie – though I should. Could you be thinking of my paleo chicken pot pie casserole? I know those are different but that’s the only recipe that I can think of that might be close? Hi Ashley and Rob firstly I would like to congratulate you two on ur excellent paleo recipes specially liked the one on rice flour rotis excellent indeed am gluten intollerent and was looking forward for a rice flour alternative to wheat. wheat as we now know effects the pancreas and destroy the cells the run which leads to diabetes have been ingesting wheat products from childhood and have developed diabetes type 2.Your recipie hopefully should put me back to normalicy my sugar count has fallen from 400 plus to 160 due to insulin hopefully I want to keep my sugar count down.A healthy gluten free diet wud help I am told.Lets hope so.Am retired from the hotel industry and reside along with my wife in Goa 3 kids all grown up and settled. Want to enjoy my retired life with my wife but a strict diet restraines me.No matter try to make the very best of every day given as God’s precious gift. So to cut it short thanks once again for ur recipes will look into it other paleo recipes as well.Now I have to hunt for Organic rice flour.Any idea where I can purchase the same online. Ronie, thank you! I’m so glad you like my recipes 🙂 Wish you the best health! I came across your blog, when I was looking up toor dal, I am excited to try your recipe for dal in the instant pot. 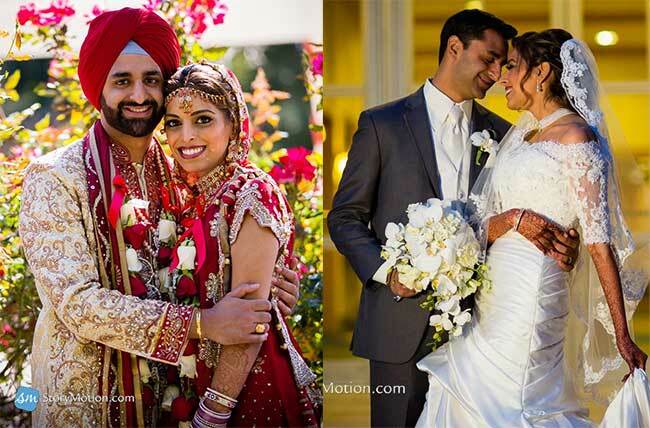 Your wedding pictures remind me of my wedding in 1985, I got a chance to go to India and fell in love and married a SadarJi, unfortunately some years later, things didn’t work out and we divorced. But I still love Indian food and his family. My favorite food being Matar Paneer and most food with paneer in it.😀. Kelly, I’m so glad you found my blog – I can’t wait to hear what you think of the dal 🙂 Sorry to hear things didn’t work out – but I’m so glad you still love Indian food! Look forward to hearing what you think of my recipes! Hi, just found your ‘site and I need to ask a question about a takeout dish I’ve been trying to find a recipe for. I have looked and looked, it’s possibly just from this one takeout place in Baltimore though. They called it “chicken badam pasanda” It was chicken in an almond sauce. I’ve found a single recipe that is like it but not quite it. Please please please have you ever heard of anything like it? I’ve been looking for 8 years! Ugh! ps. I really appreciate how easy your site is to navigate and can’t wait to try the coconut flour nuggets!!! Maura, I will have to add chicken pasanda to my list of recipes to make! Thanks for asking about it 🙂 I hope you love the nuggets! I’m a Punjabi and my Indian cooking is awful. Today I tried your Onion Masala recipes in the Instant pot … love it, love it! Pardon my language, but your are a freaking genius. I went ahead and used the Masala for a simple Allo Sabji, my 10 yr old twin boys were,” mom, you are the best cook ever”. 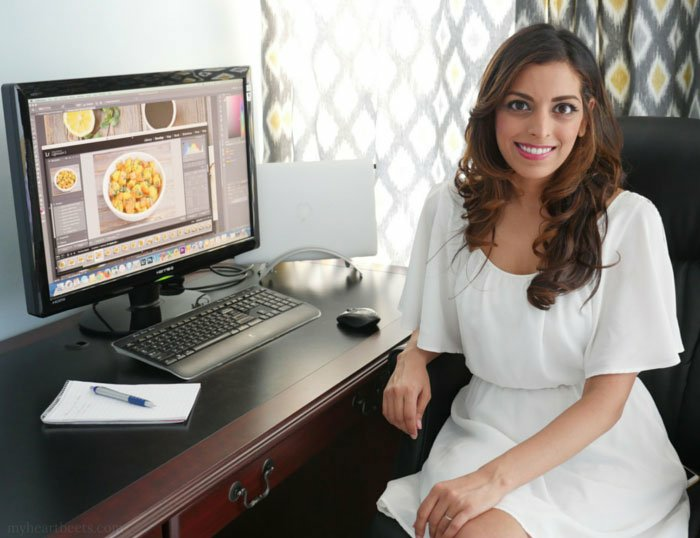 Thank you dear, I’m so glad I came across your blog when I was searching for Indian recipes that can cooked in instant pot. I’ll be trying Kerala Masala Egg Roast next! Hi Bipal! LOL this is the best comment ever, thank you so much for making my day! And your boys sound so sweet!! I can’t wait to hear how the masala egg roast goes – do let me know! I tried the Chicken Pulao as it looked less intimidating, it turned out so well, mum was literally Chef Ramsay in their eyes. I would definitely eliminated peppercorns the next time for the kids sake. Than the Egg Roast, OMG…in love! I did make an adjustment for the kids and added whip cream to tone down the spices. Would you recommend Coconut milk instead as its an south Indian dish? I am new to your site – I found you when I googled gluten-free, dairy free soups. I want to prepare your chicken wild rice for my college granddaughter who is coming to spend the weekend with us coming up real soon. She is – yep – gluten and dairy free so your recipe sounds just right for her. She loves soup. My question is – can I make this without using an instant pot? I don’t have one at this time. Thank you for your help. I apologize if you get this twice from me. I’m out in a territory I know very little about. Hi Sandra! I’m so glad you found my site 🙂 You can definitely make this over the stove top – it’ll just take longer to cook but it’ll still be delicious! My guess is that the wild rice will take 45 mins to an hour to cook on the stovetop – let me know if you try it this way! Thank you so much for sharing your recipes. I love Indian food and I love my instant pot. My husband and I “adopt” students from India that attend a university near us. We have over 90 “kids”. This pasty white lady can’t wait to try some of these yummy recipes. Love your recipes – concise thoughtful, successful! Is there a chance you can do a ras malai recipe? Great site. Although a mallu, until I ran into your site, never ventured into making sambar and avial. Instapot combined with your awesome recipes turned out to be a great thing year. I also tried your stew (chicken and beef) and they turned out great. Thanks again for these great recipes. Have a great year ahead! Hi Ashley, I love your recipes using instapot. I do a lot of juicing and there is pulp left over. I was wondering if you had recipe for delicious vege burger or vege cutlets that I can use for the pulp. Hi Toral! I don’t but that’s a great idea – I bet you could make some tasty cookies that way! Try one of my oatmeal cookie recipes and add some carrot or fruit pulp to it 🙂 Or any coconut flour recipes – they absorb a lot of liquid and I bet you could easy add some in! Thank you so much for publishing so many familiar recipes! I have been spoiled by my Dadima with authentic Punjabi food, but I just don’t have the time it takes to make it the way she does. It was so nice to see someone take recipes I’ve grown up with and adapt them for the Instant Pot! My toughest critic – my Punjabi father – has to approve of all of my Punjabi recipes before I share them here lol so hopefully you’ll love them! Can’t wait to hear what you think of the recipes you try! Love your site and amazing recipes. Great work! I am so thankful for your website and wonder recipes, you deserve a statue in your honor!!! Found your website just now searching for healthy food bloggers in Pitt in hopes of finding some good local vegetarian friendly places while there on a work trip in June! Glad I found you as I like your cuisine! Caitlin, I’m so glad you found my blog!! I really need to work on a blog post with all my favorite local restaurants! While you’re here, check out B52 – it’s my favorite vegan restaurant in the city – the food is delicious! What area will you be in? I love your blog and saw you have an instant pot cookbook out now. I eat mostly vegetarian and am wondering how many main dish vegetarian recipes are in your book? Thanks for any info you can give me! Jessica, I’m so happy to hear that you liked the korma!! 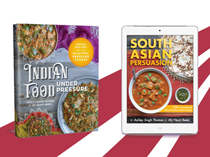 Hi Ashley, I bought the kindle edition of your instant pot Indian cookbook & am excited to start making some of the delicious-looking-sounding dishes. Do you have a favorite recipe for RASAM? (Either Instant Pot or non-pressure cooler). A South Indian family in the West San Jose/Cupertino area I know makes the most incredible Rasam. But the mom doesn’t measure her ingredients, so it would be tough to replicate. Perhaps your Sambar recipe is sort of similiar? I’d love to hear back from you. Thanks for putting together such a great instant pot Indian cookbook.